From Aug. 2014 to Aug. 2015, Uber reported receiving 2,047 complaints from California passengers about suspected drunk drivers. Uber barred 574 of the drivers. However, state regulators reviewed 154 complaints about Uber drivers who allegedly drove drunk during that period. Uber did not promptly suspend or investigate 151 of the 154 drivers. Regulators are seeking a $7,500 fine for each of the 151 violations found by the PUC’s Consumer Protection and Enforcement Division. “In many instances, CPED found no evidence that [Uber] followed up in any way with zero tolerance complaints several hours or even one fully day after passengers filed such complaints,” the PUC order states. 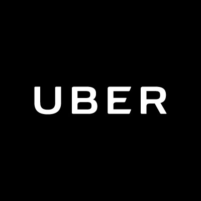 In a recent statement, Uber said the complaints were a couple years old, and the company has improved since then. Unlike taxi and limousine drivers in California, drivers for ride-hauling services like Uber and Lyft do not need to be tested for alcohol and drugs. However, Uber and Lyft must comply with a zero-tolerance policy, under which the companies are required to promptly suspend and investigate drivers accused of driving under the influence. Uber has been known to clash with regulators around the world, and the company has previously run afoul of California’s PUC. Last year, the state shut down Uber’s unlicensed testing of self-driving cars. Then last month, Uber applied for a permit to test self-driving cars and state regulators gave their approval. The CPUC just sees a paycheck. Ever asked them for a simple phone bill? They’re a phony watch dog constantly looking for a new bone. Uber is a pirate operation which seeks to flout regulations that exist to keep the general public safe. Previously, Uber has created apps to fool code enforcers in Oregon from riding Ubers. Uber needs to be shut down. Tell us, Kaiser Bill, which Taxi company do you work for? So who gets the $1.13 million? The state? Why? give it to the people that were unwittingly strapped into an intoxicated strangers car. I think this is just another case of the government strong arming a private company. Your company or industry could be next. I would like to see a rule change; when the state fines a corporation or industry that money should go to the people of California in the shape of tax relief. We would probably witness a drop in state ordered fines. And that would be a good thing for the state economy. It’s just like the fine airlines get for leaving passengers stuck in a plane on the tarmac, the fine goes to the government to waste and should go to the passengers who were mistreated by the airlines.